Notting Hill can be divided up into a number of different areas and places which each have their own unique character and major points of interest. To fully understand Notting Hill, it is important to understand each of these different areas. Ladbroke Grove is a main road which forms the crux of the most northerly part of Notting Hill. The road itself runs between Holland Park Avenue and Harrow Road, but much of the area around the road is also referred to as Ladbroke Grove. Alternatively, the area is referred to as North Kensington. Ladbroke Grove is named after James Weller Ladbroke; a wealthy landowner who was responsible for helping to transform Notting Hill into a suburb of London. Ladbroke Grove is one of the most diverse areas of Notting Hill and much of the route of the Notting Hill Carnival passes through the Ladbroke Grove area. There is also a large Slavic community living in the area. Ladbroke Grove is home to the Serbian Orthodox Church. A number of rock groups and grime artists have also been influenced by their time in Ladbroke Gove, including; Hawkwind, The Deviants; The Clash and AJ Tracey. The term North Kensington is more commonly used to refer to the area that was the site of the former Notting Hill slums. The majority of the race-rioting occurred here in 1958, although there was civil unrest throughout Notting Hill. Although the housing situation in this area has improved, there are still high levels of poverty and unemployment in this region. It is one of the most cosmopolitan areas in the whole of London, with large West Indian, Spanish, Moroccan and Irish communities. On the other hand, North Kensington also includes some of the most expensive houses in the entire of London, including a home owned by former Prime Minister David Cameron. Notting Hill Gate runs through the heart of Notting Hill. The road used to be home to a number of toll gates, from which the area has derived its name. Passersby used to be taxed for travelling along the road with goods; however passage is now free! The area underwent major redevelopment in the 1950s and two large tower blocks were constructed. Transport links in the area were also improved, thanks to the construction of a new tube station (Notting Hill Gate station) and a subway underneath the busy road. However, these works also destroyed some of the historic features of the toll road. Nonetheless, Notting Hill Gate is still home to some wonderful historic features, including the Coronet Cinema. The Coronet featured in the Notting Hill film, but it is currently in use as a theatre and performance space rather than a motion picture cinema. 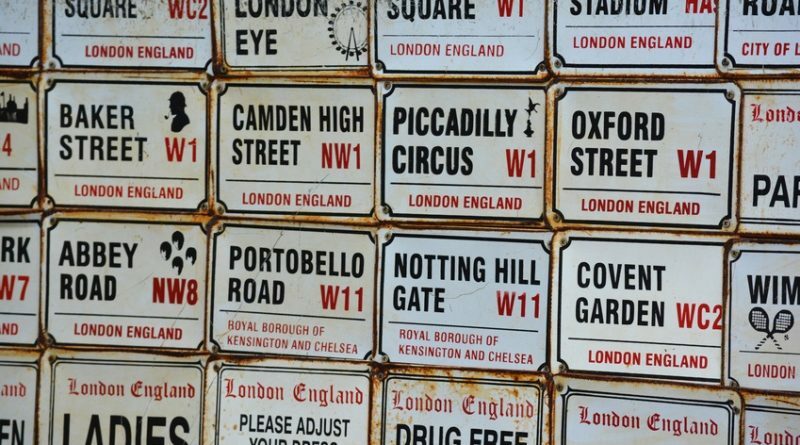 Portobello Road is one of the most famous roads in the entire of London. Every weekend, thousands of tourists flock to the area to visit the Portobello Road street market. At its busiest, the market runs for over 1km from start to finish. Although a variety of different produce are available from the market at all times, Saturday is the best day for finding antique goods. There are also areas for buying fruit, vegetables, handmade goods and vintage clothing. The Portobello Road area is also home to a huge number of independent shops and artisanal eateries. Many of the houses and business in this area are painted in bright colours or have eye-catching designs drawn onto them. The Portobello Road area featured heavily in the popular Notting Hill feature film starring Hugh Grant and Julia Roberts. Westbourne Grove is another area of Notting Hill which is great for people who love to shop. Although the area was previously home to a large number of slums which were run by notorious slum landlord Peter Rachman, the character of the area has now changed considerably. Westbourne Grove is now thought of as one of the most fashionable areas of Notting Hill. It contains a mixture of independent retailers and chain stores, with a large number of clothing brands and fashion designers setting up shops in the area. Copyright © 2019 My Notting Hill. All rights reserved.